Oh yes, it’s that time of year again… the time when Byron conjure up a new special to add to their burger menu. Last year you might have remembered that they created the Patty Meltdown, which I blogged about, so I was intrigued to see what would be next up in the Byron kitchens. I still dream of the Patty Meltdown, which meant I had high hopes for this new Japanese-inspired special. 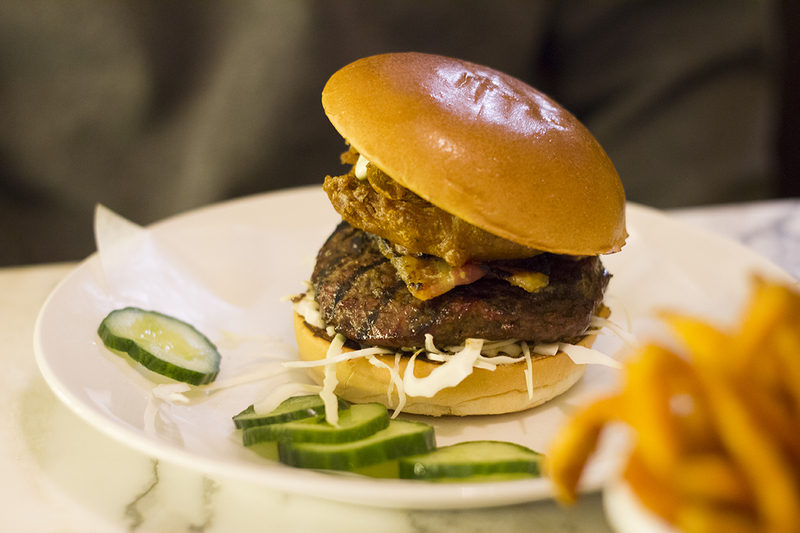 I headed to the newly opened Byron in the Corn Exchange in Manchester, along with my burger-eating partner-in-crime Mat, to sample the cleverly named Bunzilla burger. 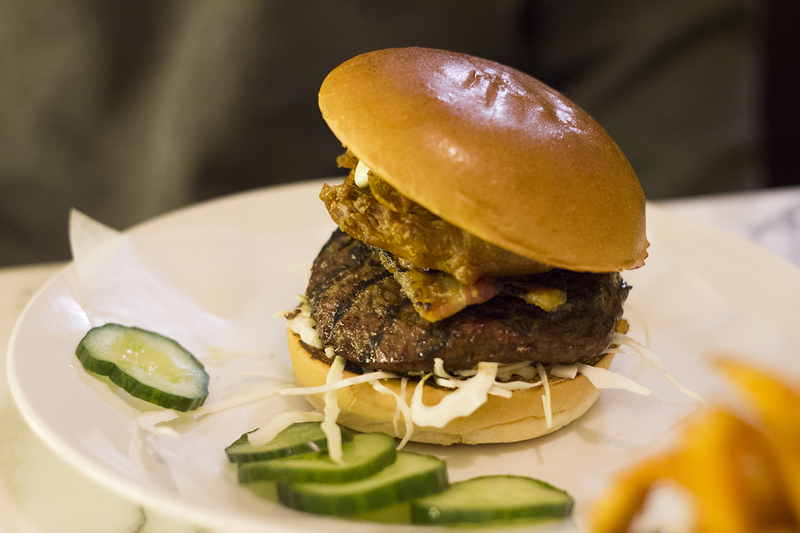 The Bunzilla (£10.95) consists of a 6oz soy-glazed burger with miso-roasted bacon, an onion ring, wasabi mayo on a bed of shredded white cabbage and all sandwiched into a soft brioche bun. Sounds pretty special, huh? I have to admit, I’m not a huge fan of wasabi but somehow this was my favourite bit of the burger. It gave a much needed kick and heaps of flavour to the burger and paired well with the miso-roasted bacon and soy-glazed patty. It’s not the prettiest of burgers and I probably would’ve left the onion ring out of the equation, but it was very enjoyable nonetheless. 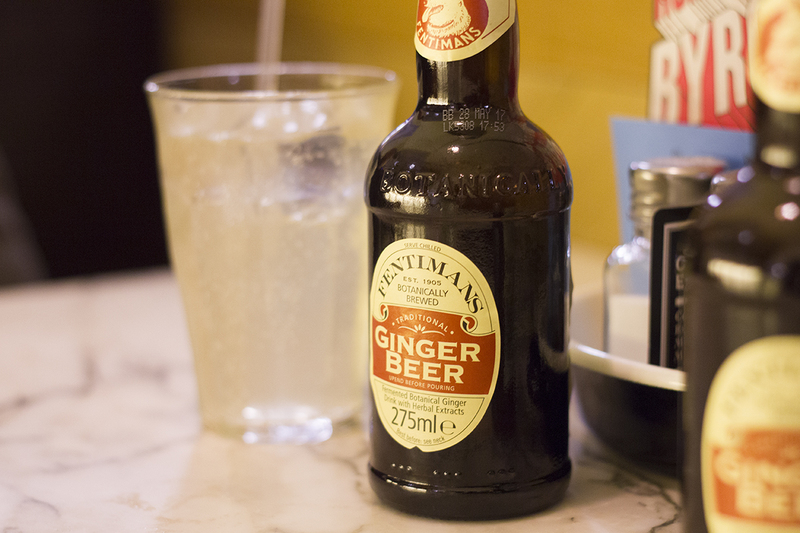 It’s definitely one to try if you’re looking to venture away from the safer, more ‘classic’ burgers! 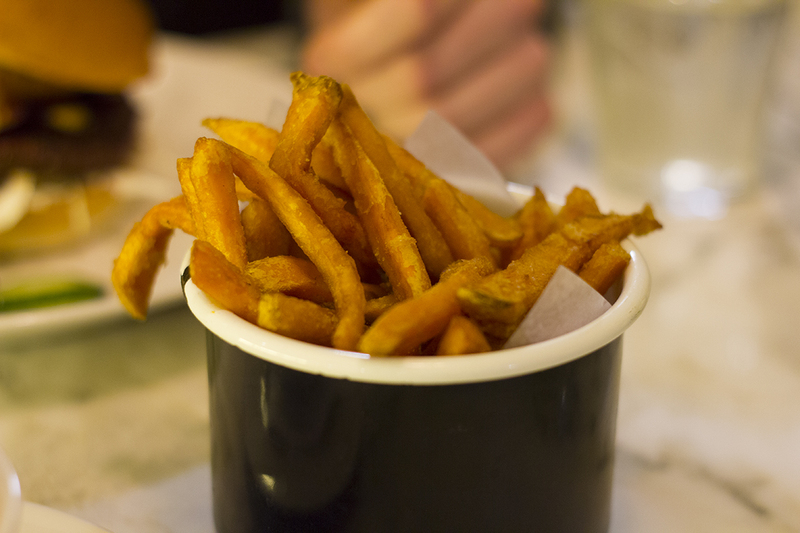 We went for a side of sweet potato fries (£3.95) and some mac ‘n’ cheese (£3.95). 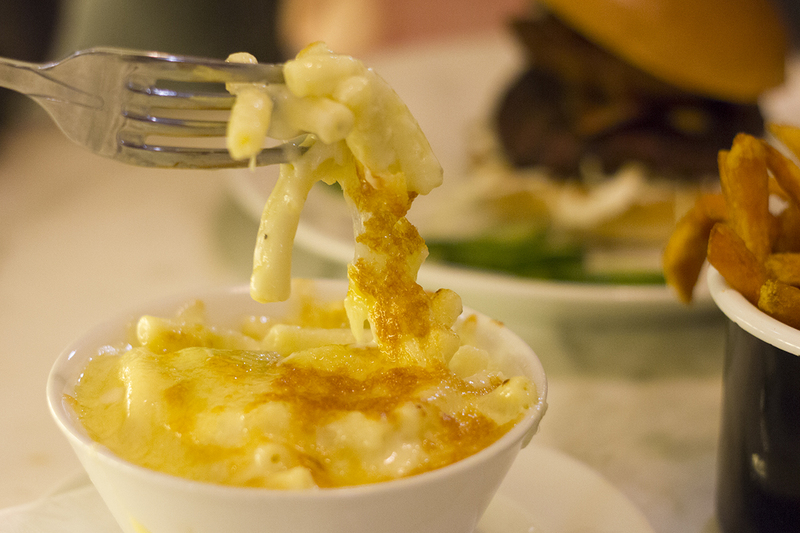 I was on the brink of a cold at the time we went and the mac ‘n’ cheese gave me life. Zero regrets, as always. As well as the Bunzilla, Byron have also introduced two new milkshake flavours: Banana (£4.75) and Reese’s Peanut Butter Cup (£4.95). If you know me, you’ll know I absolutely despise peanut butter, but if that’s your thing then they have one and the milkshakes are UNREAL at Byron. 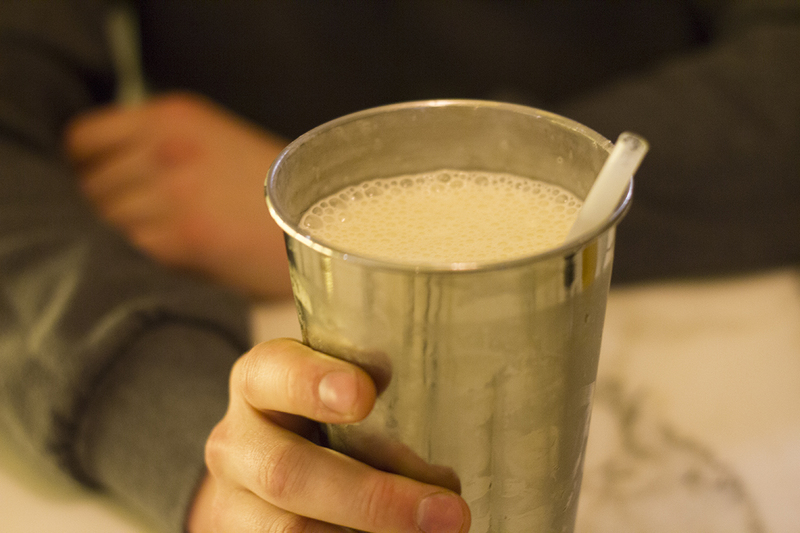 Mat & I did try the banana milkshake though, which I believe is a permanent menu addition, and it was so good. They use lots of fresh banana, ice cream and milk, so it’s super thick, creamy and tasty! Disclaimer: Our meal was complimentary of Byron but as always, all juicy burger thoughts & opinions are my very own. The Bunzilla and the Reese’s Peanut Butter Cup Milkshake are available now until the 16th May, so make sure to try them while you can at your local Byron! Previous Post: « Our House: We’re Finally In!